In order to follow his older brother to the colonies, sixteen-year-old James West steals a red cloak from a clothing store and is convicted of petty larceny in London, 1765. Sentenced to seven years in America, James arrives in Baltimore aboard the Tryal and is sold as a convict servant to a plantation in southern Maryland. His harrowing escape leads him into the arms of his future wife, Sarah Bowman of Swan Point, Maryland. They grow closer and fall in love as they meet each evening at sunset on the banks of Cuckold Creek. James and Sarah marry and eventually go to Granville County, North Carolina, in search of his brother, Francis. James fights in several battles of the Revolutionary War and confronts a personal struggle with faith, enduring periods of doubting God's very existence because of the loss of loved ones and the injustices he sees in the time period in which he lives. Sarah's faith and love remain constant and give him strength. 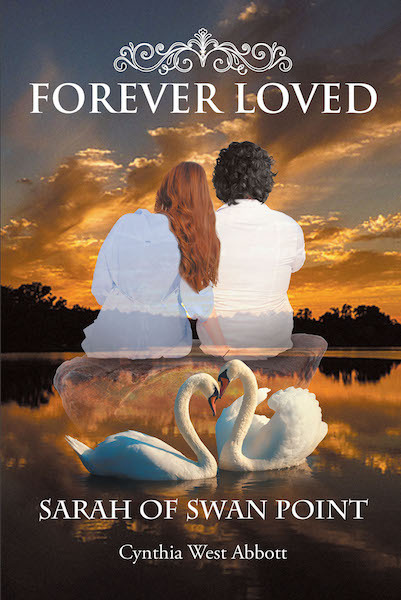 Forever Loved: Sarah of Swan Point is a beautiful love story based on the author's real-life fifth great-grandparents.